A member of the Frankfurt Hells Angels is being tried for attempted murder. His accomplice is on the run. 56-year-old Athanasios A. and Miloud A. 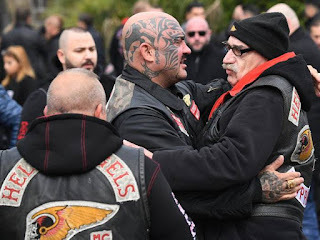 (38) shot at Munir H.
All three are connected to the Frankfurt Hells Angels. The victim was 'out in bad standing' within the group of rockers. The dispute boiled over in Frankfurt in May 2016 with shots fired on a busy street. 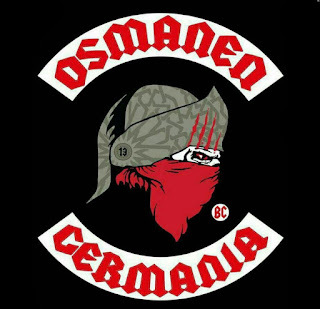 The Hells Angels MC counts about 160 members in Hessen, followed by Outlaws MC (about 65) and Bandidos MC (about 10). The rocker-like Ottomans have two charters in Hesse: Ottoman Germania BC with about 100 members and Ottomans BC (about 40). Prosecutors are seeking a 10 year jail sentence.